Joseph Jackson Lister, English wine merchant and amateur microscopist, 1830s. Photographed with a microscope. Lister, father of Joseph Lister, was a wine merchant who maintained an interest in optics. He developed a system of building a lens that reduced chromatic and spherical aberrations. 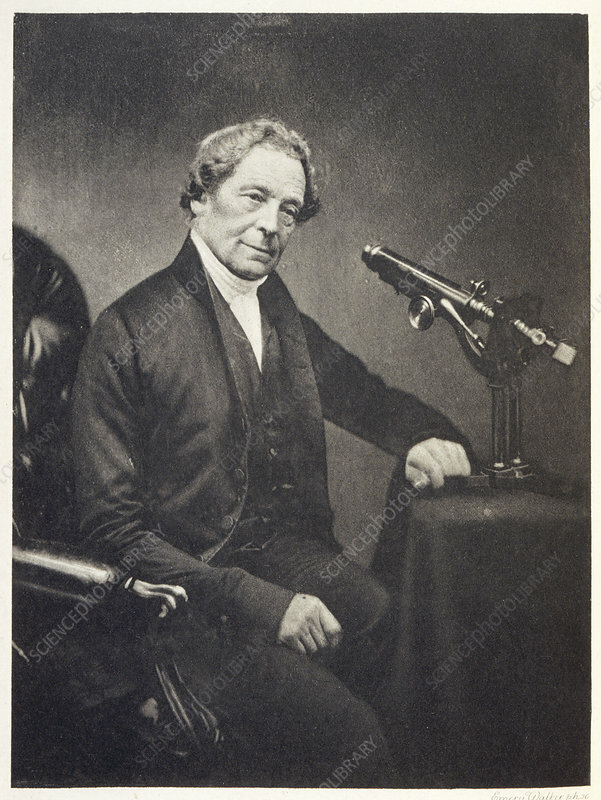 An improved version of Lister's microscope was built by James Smith in 1826 and in 1832, Lister became a fellow of the Royal Society. Artist: Maull & Co.